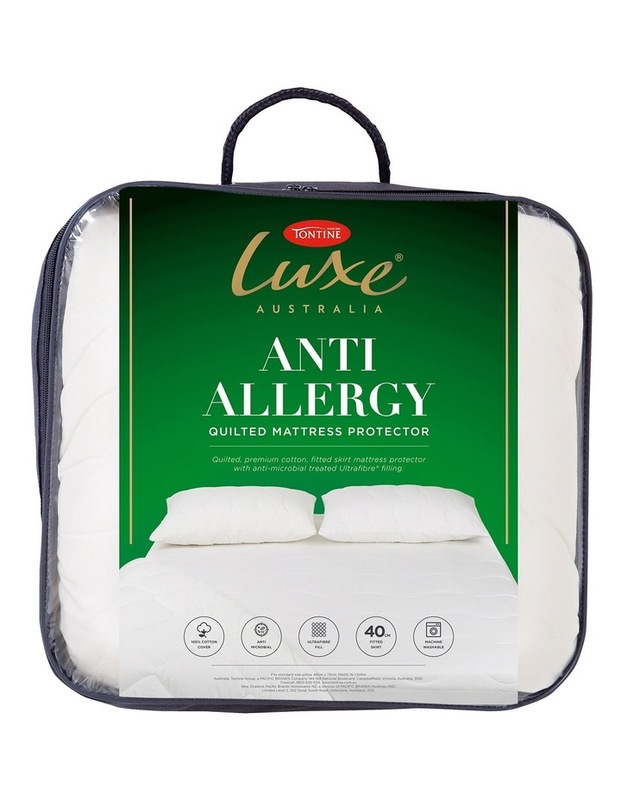 Natural cotton cover matress protector with a fitted skirt and premium polyester fill. Treated with Antimicrobial protection. Natural cotton cover with premium polyester fill. Fitted skirt to ensure protector stays in place. Finished in a wavy stitch pattern. Antimicrobial treatment inhibits the growth of bacteria, mould & dustmites, which makes it deal for those with asthma and allergies. Endorsed by the National Asthma Council of Australia. King 208 x 188 x 40cm. Machine washable. Warm machine wash - gentle cycle. Do not bleach, soak or wring. Pull into shape while wet. Line dry over several lines without delay. Dry thoroughly before reuse or storage. Do not tumble dry. Do not iron. Dry cleanable (P). Excess washing may affect the comfort of the product.